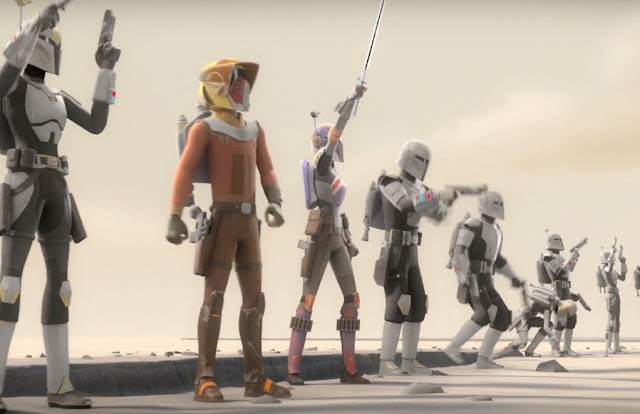 We are now mere days away from the premiere of the fourth season of Star Wars Rebels! Season four will mark the end of the hit animated series, which premiered back in 2014. As the hype builds, a new teaser trailer for the upcoming episodes has surfaced online. Heroes Of Mandalore parts 1 & 2 premiere Monday, October 16th on Disney XD! You can click here to view the schedule for the first batch of episodes coming later this month.